Beautifully made full size horse sculpture - around 17 hands! 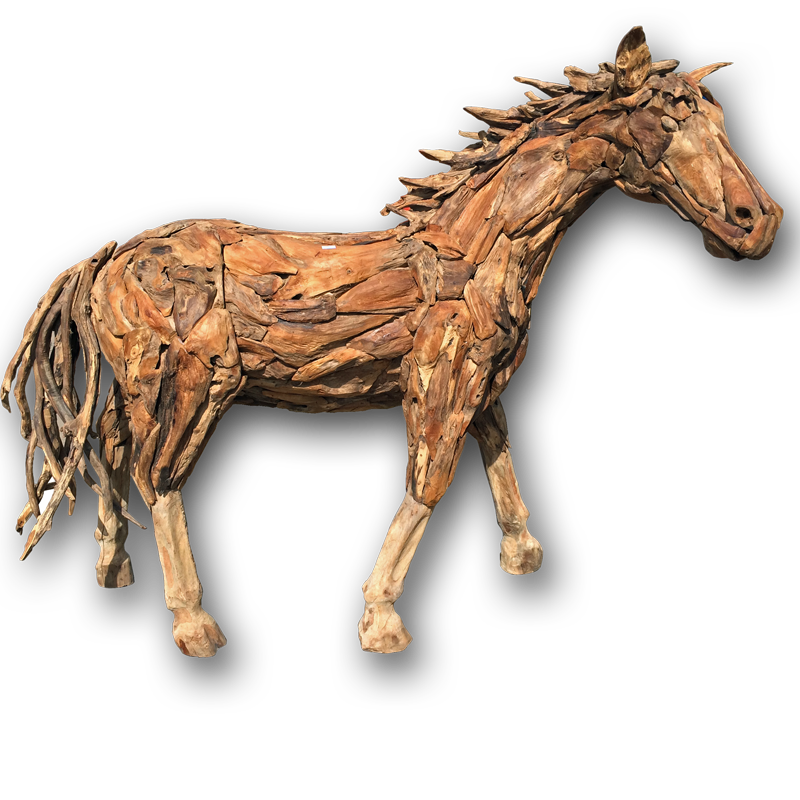 Amazing teak root horse sculpture!. Made from solid teak roots, this unique item would look great in the garden! Teak is particularly resistant to rotting and with the right care will last a lifetime - even outdoors!